Responsive design serves all devices with the same code that adjusts for screen size. Use meta name="viewport" tag to tell the browser how to adjust the content. Check out our Web Fundamentals site for further documentation. The meta viewport tag gives the browser instructions on how to adjust the dimensions and scaling of the page to the width of the device. When the meta viewport element is absent, mobile browsers default to rendering the page at a desktop screen width (usually about 980px, though this varies across devices). Mobile browsers then try to make the content look better by increasing font sizes and either scaling the content to fit the screen or showing only the part of the content that fits within the screen. For users, this means that font sizes may have an inconsistent appearance, and users may have to double-tap or pinch-to-zoom in order to be able to see and interact with the content. For Google, we might not judge a page as mobile-friendly because it requires this kind (or type) of interaction on a mobile device. On the left is a page without a meta viewport specified - the mobile browser therefore assumes desktop width and scales the page to fit the screen, making the content hard to read. On the right is the same page with a viewport specified that matches the device width - the mobile browser doesn't scale the page and the content is readable. For responsive images, include the <picture> element. As a general rule, if your site works in a recent browser such as Google Chrome or Apple Mobile Safari, it would work with our algorithms. 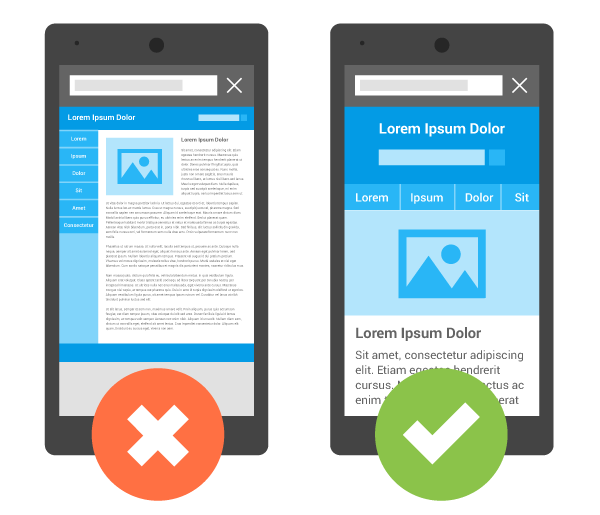 Reduces the possibility of the common mistakes that affect mobile sites. Requires no redirection for users to have a device-optimized view, which reduces load time. Also, user agent-based redirection is error-prone and can degrade your site’s user experience (see Pitfalls when detecting user agents" section for details). Saves resources when Googlebot crawls your site. For responsive web design pages, a single Googlebot user agent only needs to crawl your page once, rather than crawling multiple times with different Googlebot user agents to retrieve all versions of the content. This improvement in crawling efficiency can indirectly help Google index more of your site’s content and keep it appropriately fresh. If you’re interested in responsive web design, start with our blog post on Webmaster Central and visit the Web Fundamentals site. Caution: Visit our common mistakes section to make sure you don't run into one. Let’s look at each of these configurations in detail. Given that the server returns different HTML to different user-agents, combined detection is considered a type of dynamic serving configuration. 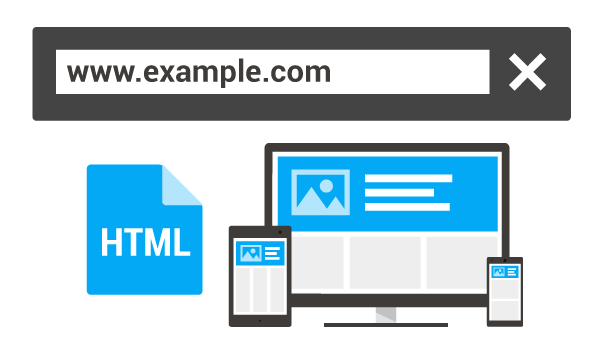 The details are described in full in the dynamic serving section, but to briefly summarize, the website should include the “Vary: User-agent” HTTP response header when a URL that serves different HTML content to different user-agents is requested.